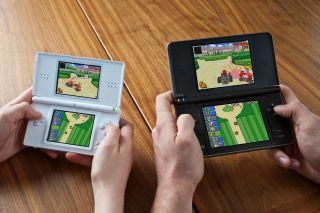 Nintendo Japan may have shot itself in the foot with regards to the newly launched Nintendo DSi XL, with slow sales uptake being blamed on the imminent launch of the new Nintendo 3DS at E3 in June. M2 Research analyst Billy Pigeon claims that the Japanese announcement of the 3DS – which was made weeks before the DSi XL was launched in the US – will stop gamers investing in the XL model and cause them to wait until the 3DS arrives later in 2010 or early 2011. "Apparently, the Japanese press was all over it and talked with suppliers there and Nintendo just wanted to get out ahead by breaking the news to prevent a leak," Pigeon told CNBC. "Does it clash with the DSi XL? Yes it does. The XL is old news, however, in Japan - and Nintendo is a very Japan-centric organization. This is just the corporate parent in Japan maybe not acting in the best interest of Nintendo of America." Pigeon added: "It gives [Nintendo] a reason to bring down prices on the DS from a position of strength."